July 29, 1955. 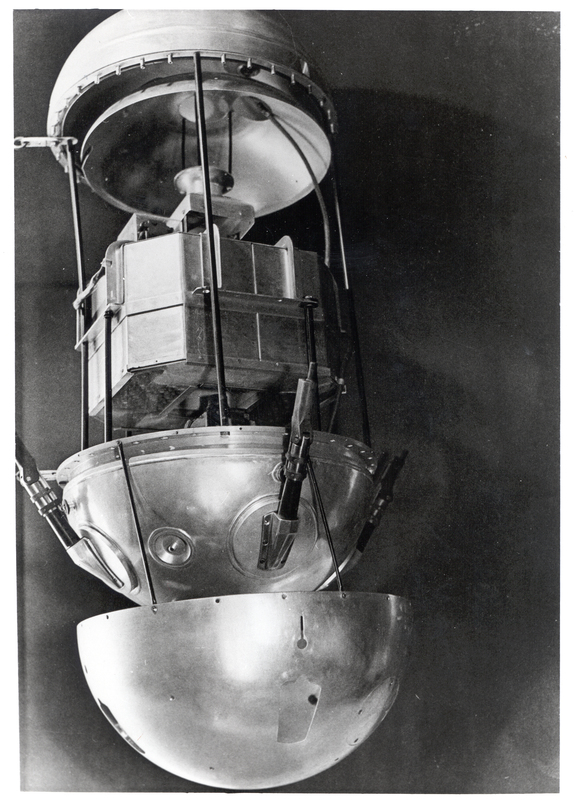 Announcement of plans for the building and launching of the world's first man-made satellite. 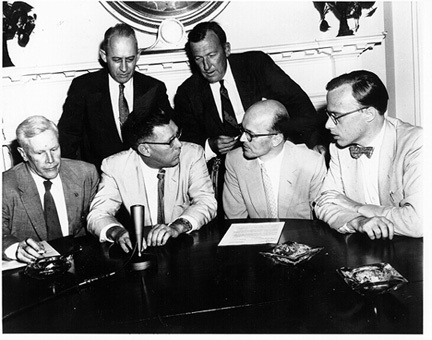 The then Presidential press secretary James Hagerty is shown with five scientists during the meeting at which announcement of President Eisenhower's approval of the plan was made. Front, left to right, are: Dr. Alan T. Waterman, Hagerty, Dr. S. Douglas Cornell and Dr. Alan Shapley. Standing, left to right: Dr. J. Wallace Joyce and Dr. Athelstan Spilhaus. 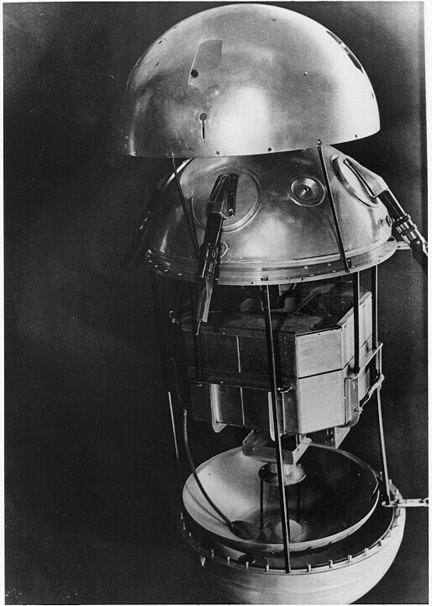 Announcement of intention to launch an earth satellite during the IGY by the Soviets. At the Legation of the USSR, Copenhagen, Denmark, during the 6th IAF, August 1955, shortly after the Americans announced their intentions to launch a satellite. 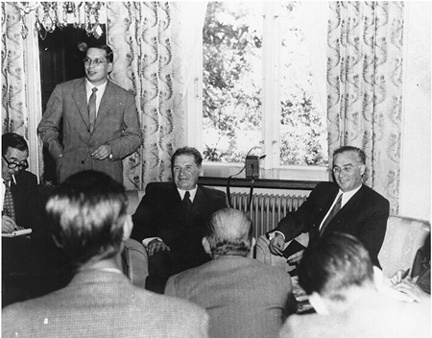 Left to right: Vereschetin, Mr. Sannikov-Soviet State Security; Professor Kyrill F. Ogorodikov, Astronomy, Leningrad University; Leonid Ivanovich Sedov, Specialist in mechanics, USSR Academy of Sciences. 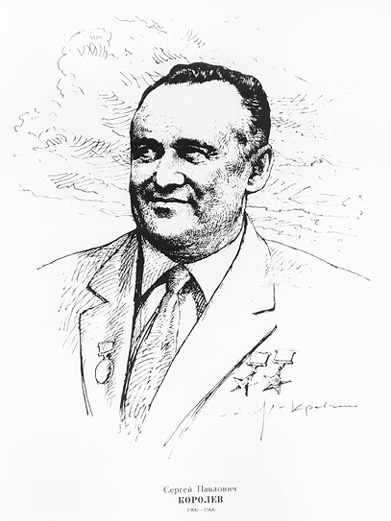 KOROLEV, SERGEI PAVLOVITCH (1906-1966), Russian spacecraft designer and headed the Vostok and Voskhod projects, as well as the early Zond and Cosmos series. 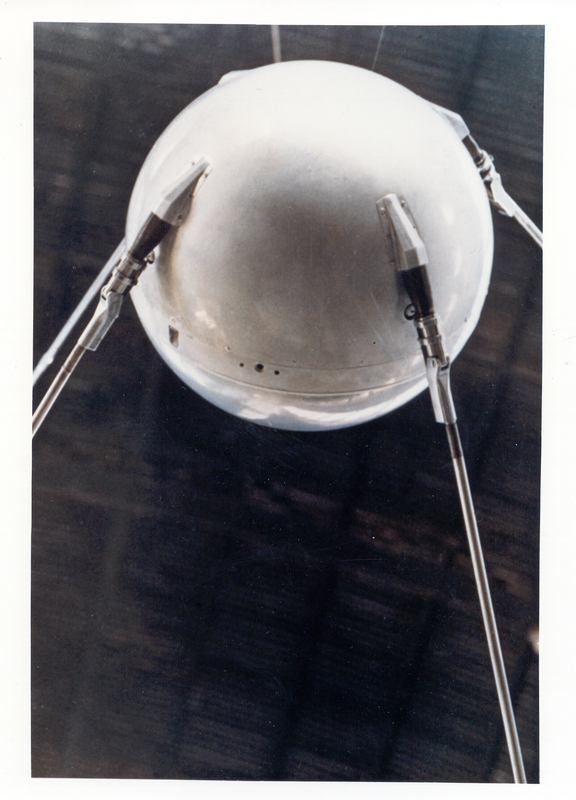 Sputnik 1. You may also click here to download a large (~7MB), high-resolution jpg version of this image or a pdf version. 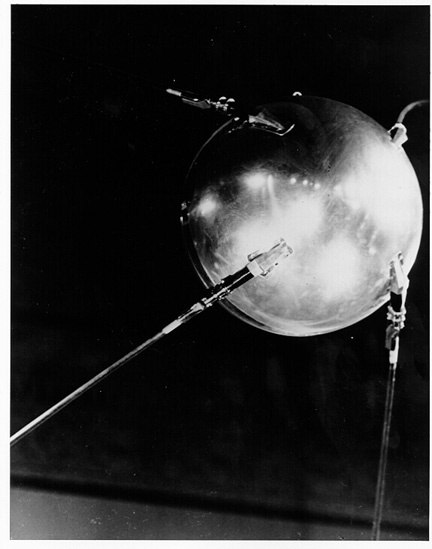 Sputnik 1, exploded view. You may also click here to download a large (~7MB), high-resolution jpg version of this image or a pdf version. October. 17, 1957. 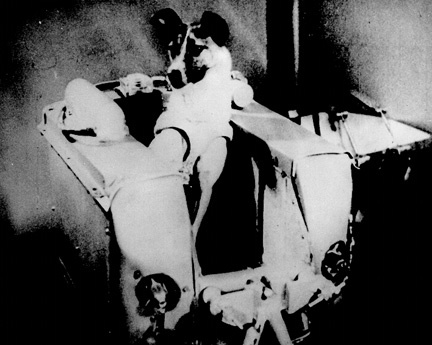 The first official photograph of the Soviet Satellite Rocket using the new giant IGY satellite tracking camera was taken at South Pasadena, California at 5:06 a.m. PST, October 17, 1957 by the Smithsonian Astronphysical Observatory personnel. The rocket appears in the lower part of the photograph -- its movement with relation to two stars, Pi Aurigae and Beta Aurigae, can be seen. Time is recorded to 1/1000 second. 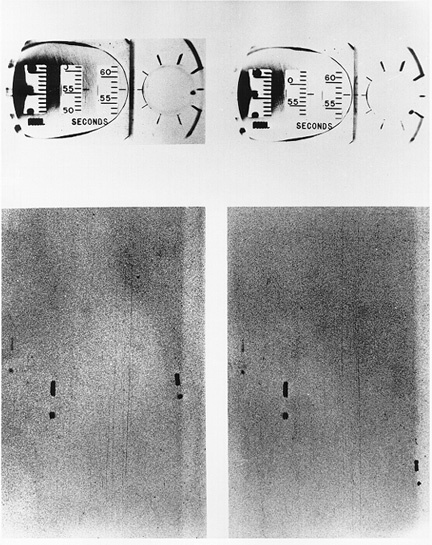 The trailing exposures result from the special design of the camera to provide tracking information.